Waiting for a table at Elite on a weekend afternoon tests one’s dedication to the sport of dim sum. The bellies that gather here are a tenacious bunch; they don’t seem to mind waiting an hour or even two so long as the food is tops when their number finally gets called. Arriving soon after the restaurant opens can dramatically improve wait times, but The Astronomer and I relish sleeping in on weekends, so we resigned ourselves to thumb twiddling, menu gazing, and Dollar Store perusing (there’s one next door). 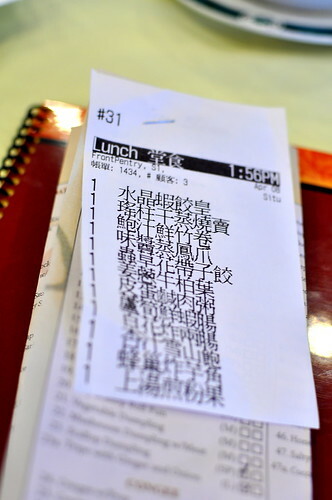 Once we were finally seated, some ninety minutes after we arrived, it was time to do what we do best—over-order and overeat. What’s unique about the dim sum experience here is the lack of carts roaming the dining room. We were presented with a picture menu and an order form as soon as we sat down. 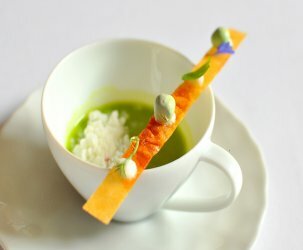 I’ve always loved the chaos of traditional dim sum, but found this approach quite appealing. Not only were my favorite dishes prepared to order, but I wasn’t tempted to waste space on lesser dishes just because the cart came by. I also liked that I didn’t have to scan the room searching for the lone lady serving chicken feet. A simple tick mark on the form and voila, steaming hot chicken feet appeared at the table. Cart-less dim sum certainly has its merits. On this particular outing, we were joined by my mom, a woman who demands congee at dim sum. We indulged her desires with a large bowl full with pork and preserved egg ($6.38). 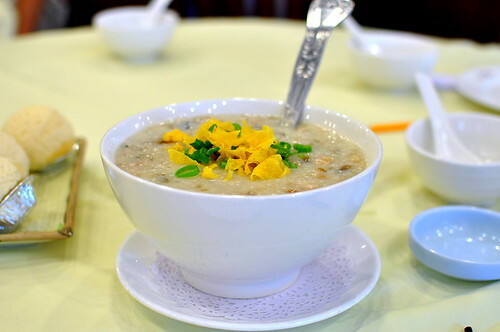 The congee, which came topped with spring onions and crunchy wonton bits, soothed our empty bellies. The crispy snow buns ($2.38), which I ordered because the name sounded intriguing, arrived before anyone was ready to dive into desserts. Still, we each took a bite. While the bun was sweet and light, it wasn’t as crispy as billed. Chalk this one up to curiosity. 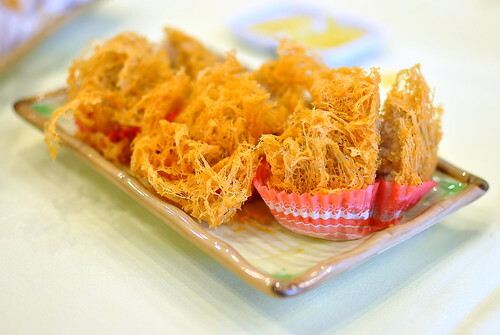 The crispy shrimp rice noodle ($3.38) offered a textural twist on my favorite dim sum dish. 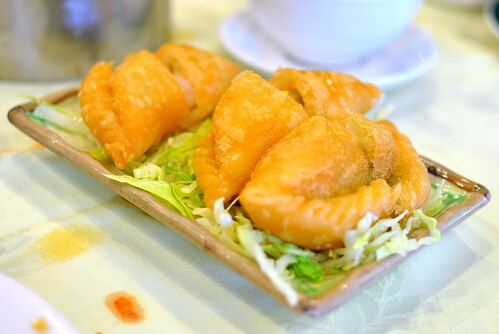 The crunchy filling contrasted brilliantly with the smooth noodle sheets. The soy sauce tied everything together with its subtle sweetness. In addition to congee, my mom also adores taro and insisted we try the fried taro cake ($2.38). The wispy crust shattered in our mouths, revealing a savory filling of pork and taro. I’d hit it again. 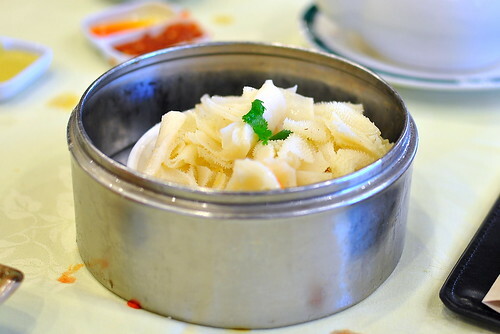 With mom by my side, I had a kindred spirit to share the tripe with ginger and onion ($5.48) with. Its texture was expectedly chewy, while the seasonings were mild but satisfactory. Since rice noodles are my absolute favorite dim sum delight, I couldn’t resist ordering another rendition. This one featured shrimp and asparagus ($3.38). The slick rice noodles and barely cooked shrimp had an easy way of going down. 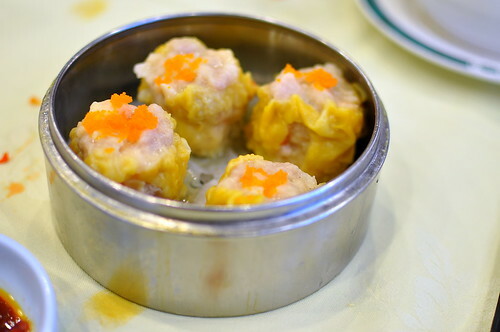 A proper dim sum spread isn’t complete without pork shui mai ($3.38). 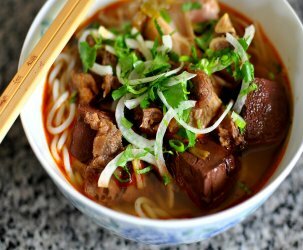 The version here is super-sized with plenty of pork and shrimp. Each dumpling was mighty meaty and seriously satisfying. 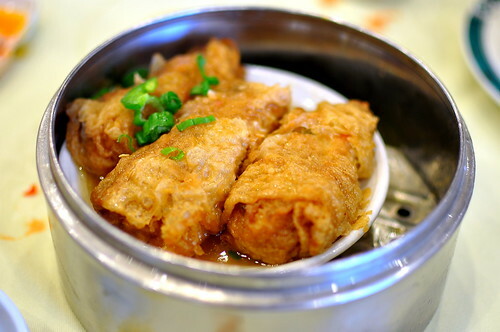 Another must-order for me at dim sum is pork- and wood ear mushroom-stuffed bean curd wrap in oyster sauce ($3.38). One of the waitresses swooped in and snipped the rolls into bite-size pieces with her handy scissors. I love it when they do that without being asked. 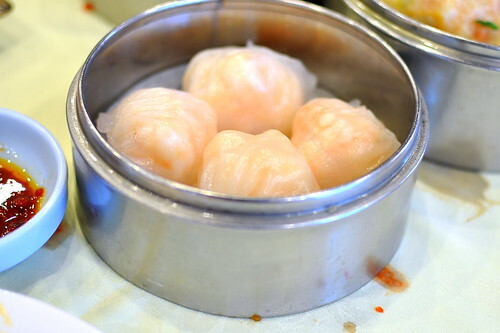 Another quintessential dim sum staple is the crystal shrimp har gow ($3.38). 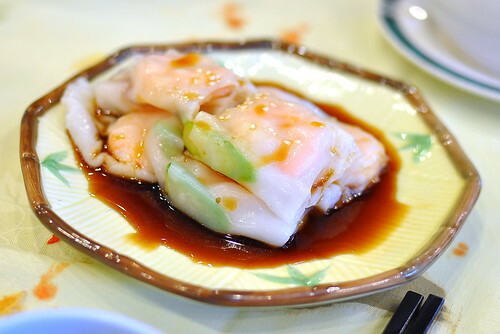 Each impressively plump parcel contained loads of perfectly cooked shrimp, while the translucent wrapper had a nice chew. The scallop dumplings ($5.48) were even more impressively sized than the har gow and shui mai. The plentiful scallops and shrimp inside were snappy and not the least bit overcooked. The fried shrimp dumplings ($3.38) were a little on the greasy side, but truth be told, I didn’t really mind because the shrimp were big and cooked well. 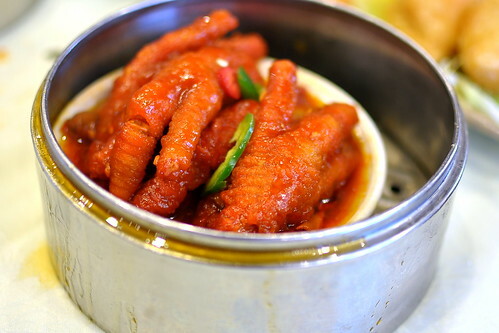 And finally, a steamed-to-order dish of chicken feet with special sauce ($3.38). Even though the five-spice-laced “special sauce” was slightly too sweet for mom and me, we appreciated its supple texture. Elite’s a great place to yum cha even though the waits can be painful on weekend afternoons. Don’t do as I do. Go early. Eat up. Get out. One of my faves! Also the pork belly is fantastic! 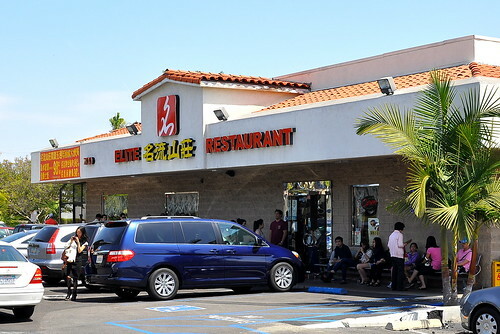 Sorry, I know Elite has good food, but a dim sum restaurant without the carts isn’t much of a dim sum restaurant at all! Elite definitely has the quality! Yum, funny when I was in Hong Kong years ago, my co-workers laughed at me cuz I was looking for the carts—old style they said. Holy crap, more than $5 for tripe? That would really hit my wallet cause I love that dish. And here in NC, if you get dim sum it’s always cartless. So that’s one aspect I miss when it’s not a choice. Probably why I haven’t braved any dim sum places here (though there aren’t many). Loved Elite when I went with Bside and Tony in September! The turnip cake, BBQ pork buns and pork belly were top notch. I think we were there by around 10:30 so fortunately didn’t have to wait! @Sharon: Where in NC do you live? All 3 of the restaurants that serve Dim Sum that I have been in Charlotte have the carts on the weekends but do the ordering from the menu during the week for 2 out of 3 when I have been during the week. I love dim sum! My faves would be the taro! 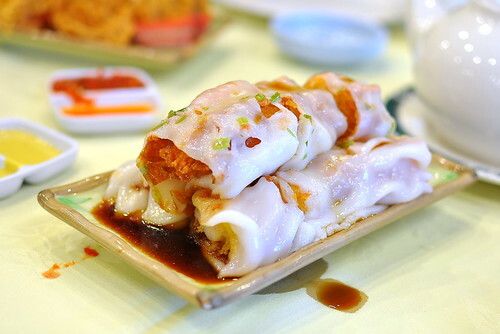 Anything taro I would eat, so the taro shrimp and the fried taro/daikon cake would be on my list of have to orders. 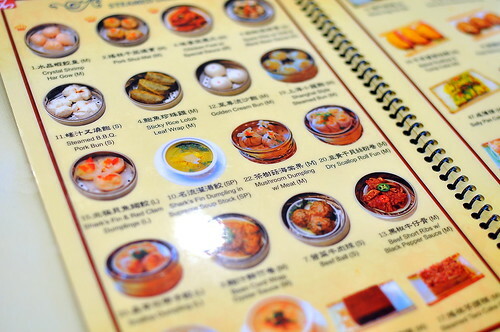 Isn’t the whole point of dim sum not having to wait for fresh, steaming hot food to be brought right to your table? If it’s done right, the food should be just as fresh as having it made to order…and you won’t have to wait for a waiter to deliver the order either or for the food to be cooked. Yum cha without carts is blasphemy! 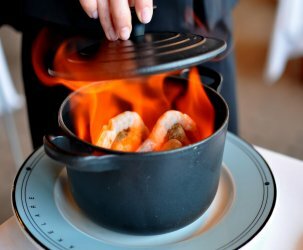 After looking at the photos of the dishes you enjoyed during your visit at Elite, one would understand why you waited for one and a half hours before getting a seat at the restaurant. The food looks delicious and the prices are not bad either. Oh please stop waxing your nostalgia. 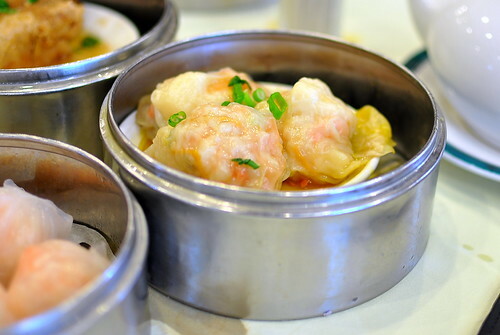 Dim sum carts are presteamed and kept warm in the carts which means food can overcook and turn to mush. In Hong Kong nobody does the carts mostly because there’s no space for them in the cramped restaurants but the food is always better when steamed to order. Yum cha without carts blasphemy? Oh please stop being so dramatic. I said if it’s done right it’s superior so you don’t have to wait. As for your contention nobody in Hong Kong uses carts, that is just wrong. We just ate at Lin Heung and Maxim’s City Hall and they both used carts. 90 mins? Painful. 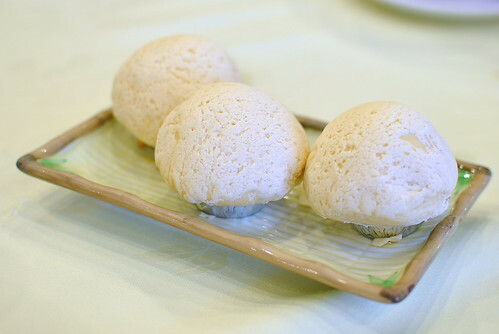 I’m sad you didn’t like the crispy snow buns…they’re one of my fav dim sum items in LA. Darin – I think I could warm up to the snow buns had they arrived when I was ready for sweets. I’ll try ’em again for YOU!